Car chief David Bryant was suspended for the next two points-paying Cup Series races, excluding the May 19 Monster Energy NASCAR All-Star Race at Charlotte Motor Speedway in Concord, N.C., a non-points, exhibition race. Meanwhile, crew chief Chad Johnston was penalized $50,000 and Larson and the team were docked 20 driver and car owner points. According to Larson’s post-race comments, the issue with the rear window was a result of damage from late-race contact with Ryan Blaney. 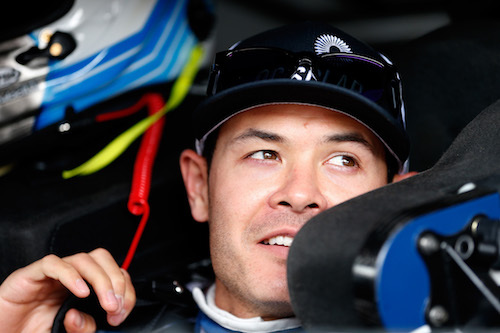 Larson finished fourth after starting in the back at Kansas and leading 101 laps of the 267-lap race. The penalties mirror those issued for other violations of the same rule, so far, this season. Larson’s team is at least the fourth to be penalized for a rear-window issue in 2018, 12 races into the season. But in an interview on SiriusXM Radio on Tuesday, NASCAR Senior Vice President of Competition Scott Miller said the sanctioning body would begin upping the penalties for issues with rear windows. The maximum penalties allowed under NASCAR’s current penalty structure, implemented ahead of the 2017 season, for such and L1 penalty include three-race suspensions, 40-point deductions and $75,000 fines. One other NASCAR penalty was announced after the Kansas race. Todd Gordon, crew chief on the No. 2 Team Penske team of Brad Keselowski was fined $10,000, because not all lug nuts were properly installed on the car late in the race.